Brexit will inevitably have an impact on economies in Europe outside the UK. 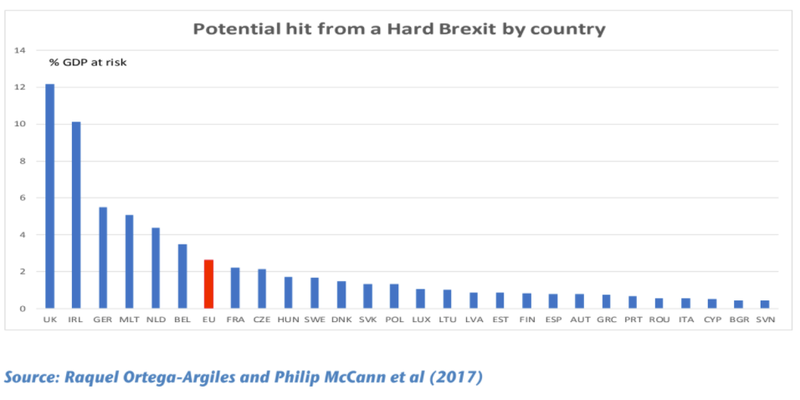 A “group of economic geographers” used complex datasets to try and map the potential impacts Brexit could have on the EU-27 countries. Ireland’s economy will understandably be worst hit, while Germany and the Netherlands are also at risk. LONDON — Brexit will damage the British economy. That’s something that most respected forecasters and analysts agree on. There is already clear evidence that the domestic economy has slowed markedly, and faces uncertainty from all corners.